Look at this dark, original pine planking on one side, "just a space we pile everything" little corner! EEEEEk, I have thee post perfect idea for this space!! This is my bestie's home! 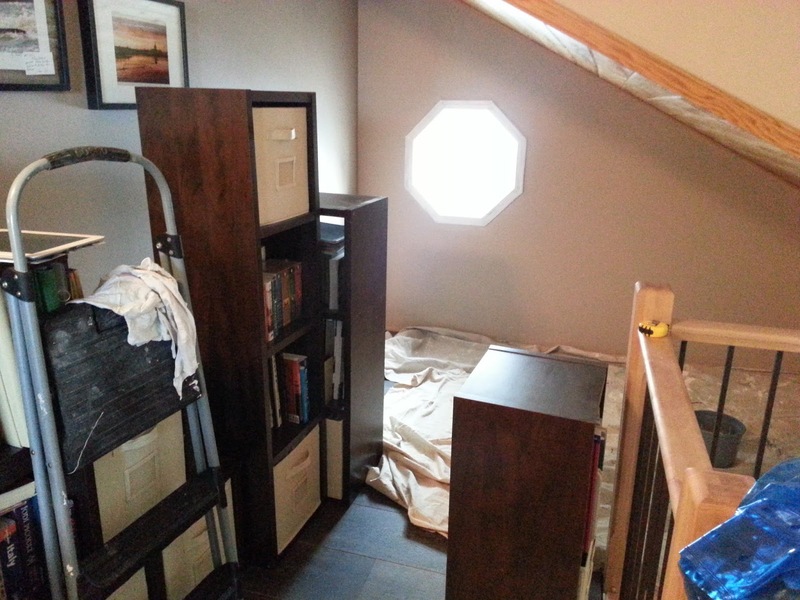 The space is right at the top of a staircase on the second level of a home. It was used to pile unwanted goods, and house shelving units full of DVD's! We all have had this type of space at one time or another. 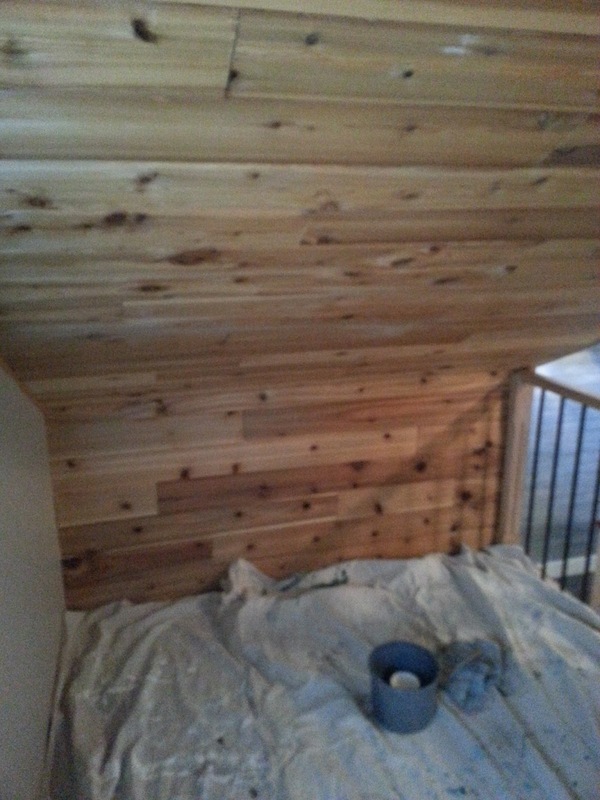 Let's start with this pine paneling, original from when they purchased the house. They wanted to rip it all off.....GASP, I introduced them to the farmhouse idea. We took some white chalk paint and watered it down about 40%. We then brushed it on the paneling and wiped it back off with a cotton rag. 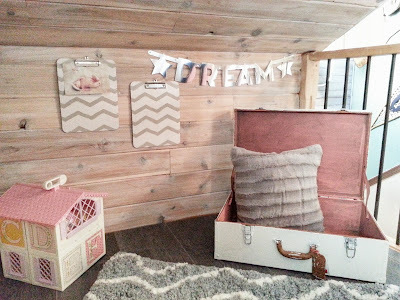 This technique gives it a white wash rustic but pretty look. White Washing and farmhouse inspired....done! 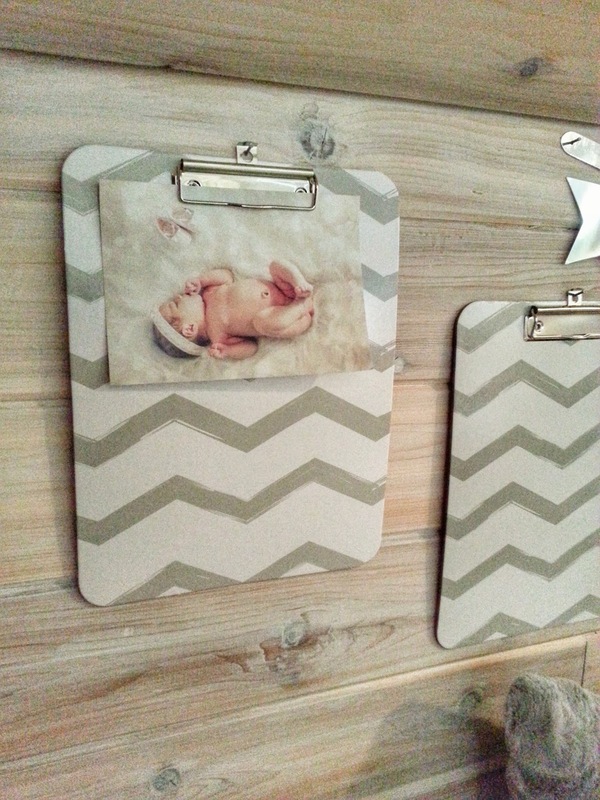 How sweet are these dollar store clip boards for holding pictures?! I added the book cases back to the far wall BUT leaving the only window exposed for the amazing light it brings in. The book cases hold only books now so that while you are sitting in your chair you will want to read from your great selection. 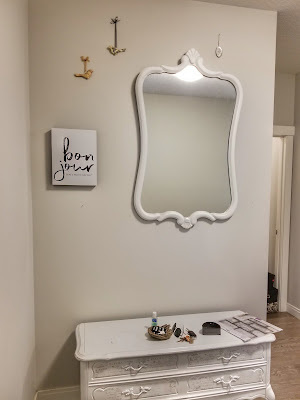 I asked my bestie to put everything she loves in a giant pile.....frames, mirrors, decor etc. I took that pile and added everything to the wall. A new FUN and unique gallery wall... because gallery walls are not only for picture frames you know?! Look at those angel wings!!!! 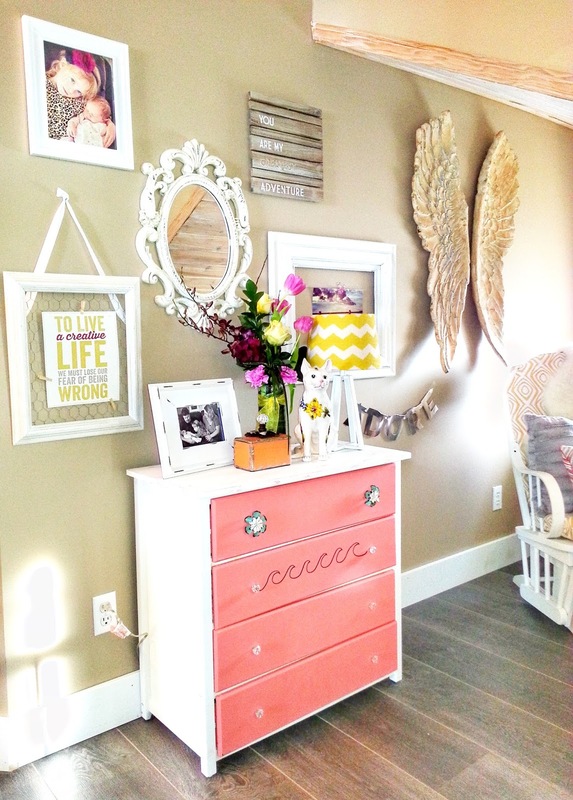 That dresser is hand-painted and up-cycled by her. There is still space for her to add or subtract from this wall as well. 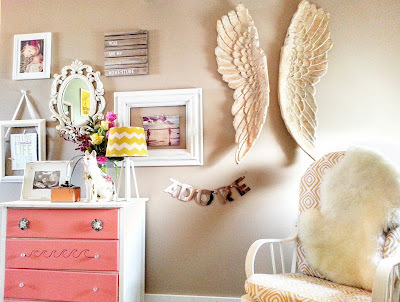 Here is another angle of the gallery wall. Look at all that sunlight coming in. She LOVES it and so do I! 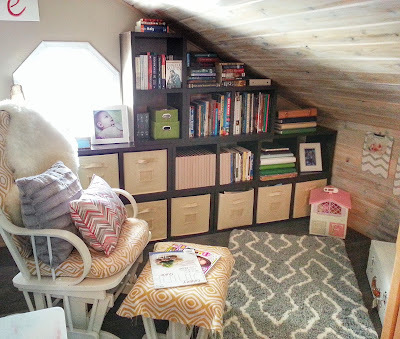 This space is now a space to be still in the sunlight, have her girls cuddle in and read books and just feel surrounded and loved by the family memories and cherished decor in one spot. I want to redesign my office premises, so I am going to consult London Architects for quick assistance. Re-creating A Piano, YES I Did!